Le Domaine | Château de Pierrepont - Maisons d’hôtes de charme en Normandie entre Caen et Bayeux, proche des plages du débarquement. 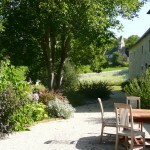 The DOMAINE is an independent house of 300 m2 which can accommodate 12 people. Its two private gardens gives you access to the pond of the property. 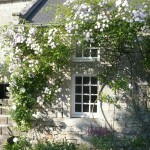 Upstairs we offer our guests six bedrooms, each one equipped with a shower. In each bedroom, you can choose to sleep in a “king size” bed (180/200) or in twin beds (90/200). On the ground floor you will find two fitted kitchen-dining room separated from the living room . 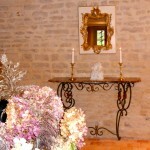 Le Domaine is the perfect place to enjoy your family or friends in a quiet, space full and beautiful house. We propose also a reception hall, please contact us for further informations.